There are many tools a leader needs and also qualities it is important for them to have. These needs and qualities are crucial so they can help their team achieve consistent success. But there is one that stands out above the rest. And the reason it stands out is because it is so important to team building. At the core of leadership is the ability to build and maintain healthy teams who understand and appreciate teamwork. After all, there would be no leader if there were no team. As such, a leader’s most important tool for team building is the lowly, much aligned meeting. “How can that be”, you ask? The general consensus for meetings at work is that they are a complete waste of time. If only you didn’t have so many meetings, you could get some real work done. While this might be true in many organizations, I am standing up in defense of the team meeting, to talk about how a leader can use them in a productive manner, rather than something that everyone has to endure, or even avoid. My purpose with this post is to show that with almost no additional investment of time or money, leaders can use their team meetings to build high-performing teams that create a true competitive advantage. Companies spend hundreds of thousands of dollars annually for team building events like paintball, cooking classes, escape rooms and ROPES courses, and then fail to capitalize on any benefits gained from those events. The only reason to invest in team building is to improve results. And yet far too often results don’t improve following team building events like these. Fun and socializing are important to building team camaraderie. But the glow quickly wears off once you are back at the office. It is a little bit like applying deodorant after a workout in hopes you won’t have to take a shower. The result is less than satisfactory and any benefit wears off pretty quickly. Team development is something that must be nurtured over time. You cannot expect a one day – or even a three day – retreat to have long lasting effects unless, there is ongoing follow-up built into regularly scheduled team meetings. Don’t get me wrong, I believe leadership team retreats and quarterly offsites are critical. And facilitating these events is a big part of my work. But this is just the initial phase. When I coach leaders, we focus on extending the work they have started during a leadership team retreat into their ongoing team meetings. The foundation is a level of trust among team members that allows for candor, debate and dialogue around ideas and issues. A boring meeting is a bad meeting, according to best-selling author Patrick Lencioni. Lencioni says, that like a good movie plot, a good meeting needs conflict. A checklist for assessing your team meetings. Is there active, lively discussion to which all team members contribute? Have the team’s top one to three shared priorities been defined? Is movement towards these shared priorities measured each meeting? Do team members hold each other accountable for progress towards these shared priorities? Do team members leave the meeting with a common understanding of and commitment to the decisions that have been made? Clearly identify the top one to three priorities for the team, and measure progress towards these in each meeting. Put the tough issues on the agenda and make sure any “elephants in the room” are put on the table. Encourage all team members to participate by specifically asking for input. If someone has been quiet during a discussion, ask for their thoughts. If the team tends to agree to suggestions without much discussion, assign someone to play the role of “devil’s advocate”. (Be sure to rotate the roll so one person does not come to be seen as the “nay sayer”). Ask for commitment. For important decisions, you may want to go around the room and ask each person if they will support the decision. It is much harder for someone to leave a meeting and ignore a decision if they have publicly committed to it, and much easier to hold them accountable if they do. 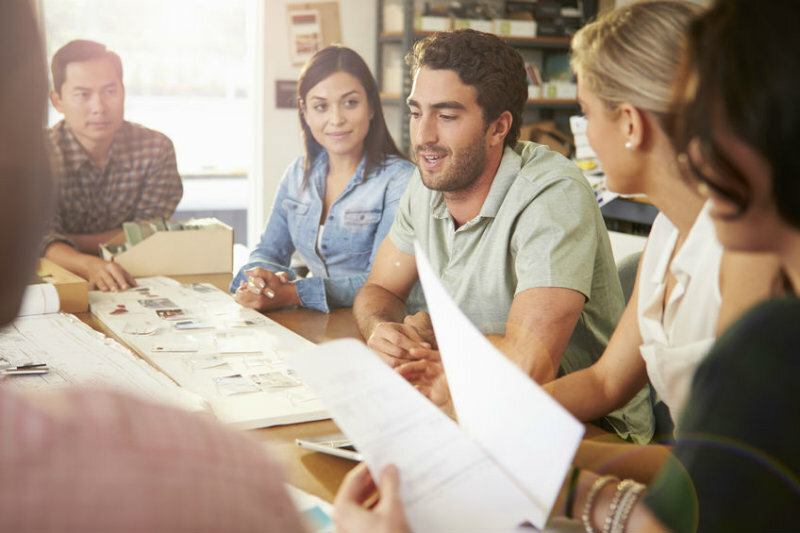 Before you begin the ongoing process of using team meetings as a tool for team building, you must be prepared and focused. Make it a priority to plan for your team meeting, keeping these guidelines in mind. And in doing so, your meetings will be more interesting — maybe even fun — and something your team can look forward to! Are you ready for the commitment to make team meetings better, and to improve the productivity of your team and organization as a whole? Get in touch with me here and we can talk about how I can help. Are you tired of boring meetings? If you're leading them, there is something you can do to change them up! Read here how you can use team meetings effectively and makes progress to bring your team to a high-functioning more cohesive work-level.